Explore Patagonia with a group of likeminded travellers. With set departures and fixed pricing, group tours are an easy and practical way to plan your trip. Benefit from the local knowledge of a tour guide throughout and maximise the time that you have in each area. We listen to your dreams for your tour, the areas you'd like to visit, the level of activity you're comfortable with and the sort of accommodation you prefer to stay in. We talk through the different options and help you decide on the right tour based on dates of departure and availability. When you are ready to move forward, Swoop puts your places on hold and you pay us a 25% deposit via a secure online payment link. Your spaces on the tour are confirmed and you fill in the necessary booking forms sharing some basic information about you. The balance of your tour is due 60 days prior to travel. In the meantime our expert Bookings Team will be in contact with all relevant pre-travel and final travel documentation. Swoop's featured group tour has been handcrafted by our Patagonian Specialists based on our years of experience. 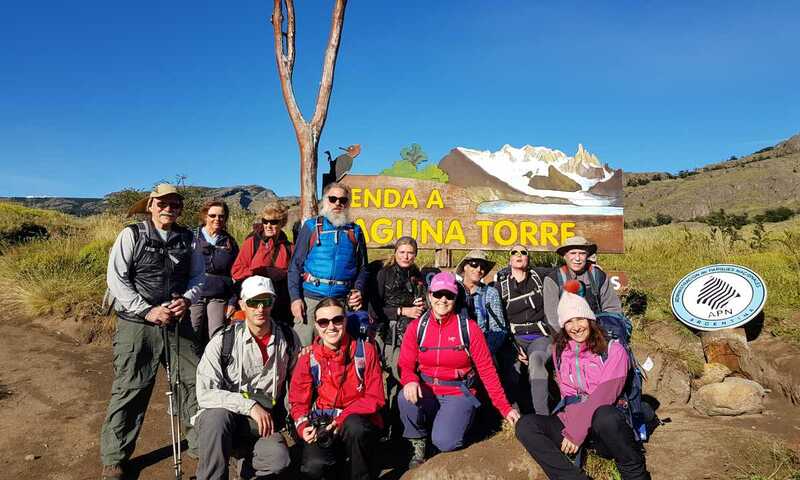 It is a trekking focused tour that includes the famous W Trek in Torres del Paine and the best of the day hikes in Los Glaciares National Park. We have included unique extras like an extended boat trip around Perito Moreno and the surrounding waterways, a Zodiac boat ride along the Rio Serrano into Torres del Paine and a big farewell asado (Patagonian BBQ) at a traditional estancia to finish. In a maximum group of 12 people, you will be accompanied by an expert tour leader throughout. These tours include longer hikes and spend slightly longer in each location to make the most of the different activities on offer. Accommodation is conveniently located but purely functional - the emphasis on these group tours is how you spend your day, not where you sleep. Staying in upgraded mid-range accommodation throughout, these tours involve lighter activities and are suitable for most fitness levels. They cover a lot in the time allocated so are perfect for those planning shorter holidays. Using a custom-built expedition vehicle as a base, these overland tours cover vast distances with regular stops along the way. With panoramic viewing windows and plenty of onboard services including a kitchenette, library and toilet you will be travelling in comfort. You will be accompanied by a specially trained driver/mechanic and an expert tour guide. Explore the remote and beautiful regions of Chile and Argentina with all of the challenging logistics taken care of. Escape the crowds of the popular areas and immerse yourself in the wilder areas of Patagonia. Extend your tour to discover more of Chile and Argentina beyond Patagonia. Other popular areas to visit include the Atacama Desert, Iguazu Falls and wine region of Mendoza. All of the people who were part of our journey (the guides, the other travellers) were kind, supportive, friendly and fun. Our guides were everything we hoped for and very informative. Our guides were great, knowledgable, energetic, well-tempered, and a perfect match for the varying skills and attitudes in our group. 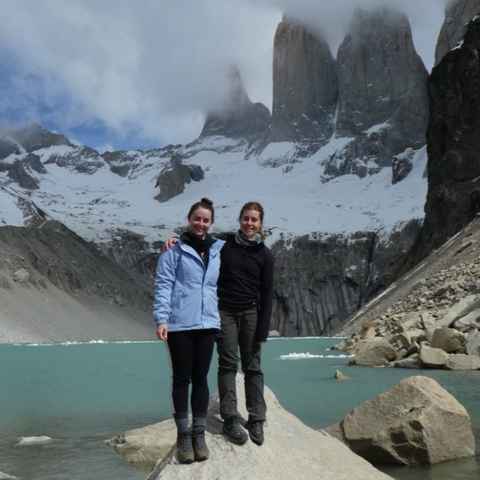 The highlight was undoubtedly reaching the base of the towers in Torres del Paine, but there were many other highlights as well. The tour staff were excellent - resourceful, knowledgeable and highly organised. The guides too were superb. While I was traveling alone, I never felt alone; there were always people to hang out with and share a meal with. I loved helping an older traveller, who was a little nervous of travelling alone for the first time, to explore Patagonia in a like-minded group with whom he felt confident and comfortable. 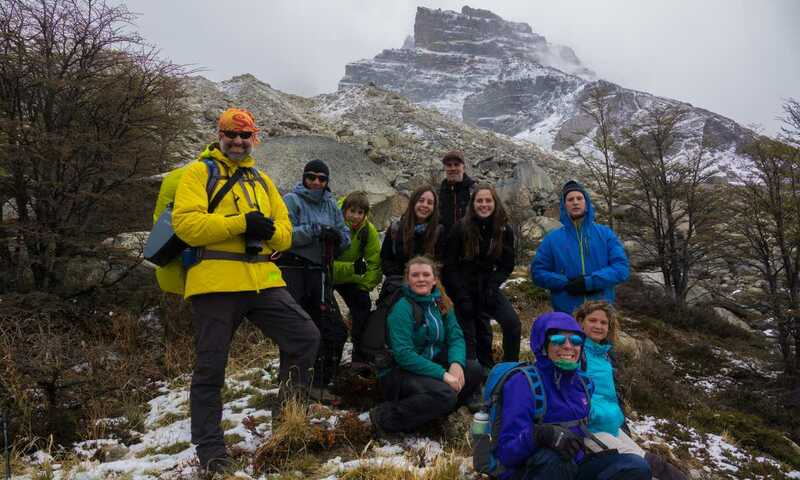 Finding a group with the right combination of hiking, relaxation, and age ranges can really make someone's trip. What are the regions of Patagonia? A multi-day activity trip, such as a hiking, kayaking or horse-riding trip, can be arranged to fit in with the rest of your plans. Guided trips are typically for small groups of no more than 8 people, but private trips and self-guided trips can be arranged too. We can help solo travellers and couples find like-minded groups to join. Find out more. We can help you choose the perfect hotel, lodge or eco camp from which to explore the national parks by day and enjoy fine food and wine by night. Expeditionary cruises are also a great way to immerse yourself in Patagonia’s scenery and wildlife from a comfortable base. Find out more. Group Tours are fixed-itinerary trips of around 15 people. 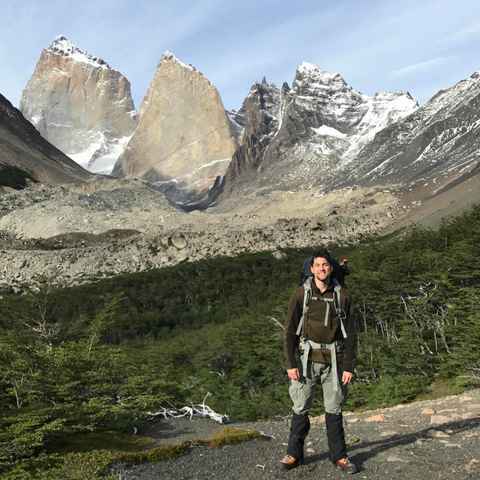 With set departure dates and prices making them easy to plan around, they can be either a simple and sociable way for solo travellers or anyone on a budget to fit the highlights of Patagonia into a short time frame, or a great core to a larger adventure. We can help you find the right group tour for you. Find out more. We can help you choose several multi-day activity trips, such as hiking, kayaking or horse-riding trips, and integrate them into your own itinerary. Or, we can plan and arrange an entire bespoke itinerary for you, including flights, buses and accommodation - doing the hard work so you don’t have to. Find out more.